Hi friends! In this article we want to share with you LG Optimus F5 firmware. Also, you can find video below, how to install fimware on your phone. LG Optimus F5 is Android smartphone, released in 2013. It was very popular phone, so many people still use it as the primary mobile device. However, every Android device is needed to be updated. We can help you with this. Also, you can use LG Optimus F5 firmware to fix some sofware errors or solve other problems with smartphone. Recall that LG Optimus F5 has 4.3 inch screen, Qualcomm MSM8960L CPU with clock speed 1GHz, 1GB of RAM, 8GB of internal memory, 5MP rear camera and 1.3MP front camera. For 2013 it was very good specifications list. Now, let’s see at firmware for LG Optimus F5, and tutorial how to install it. First, you should know that LG Optimus F5 firmware is available for different regions and phone models. It means that you need to install firmware only for your region and phone model. Click the link below to find out firmware list for LG Optimus F5. There you can find tutorial how to install firmware. 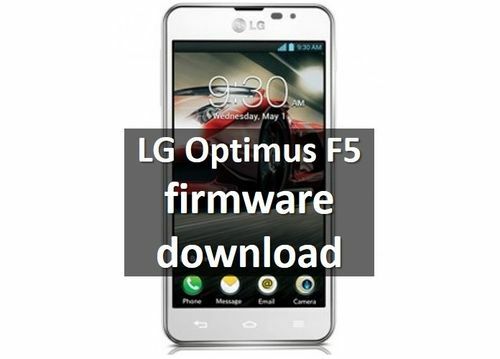 Also, you can watch the following video, how to install LG Optimus F5 firmware. It's in Spanish, but I think you'll understand everything by video. Thanks! If you still have questions, please use comments form below to write your message. We’ll try to help you.